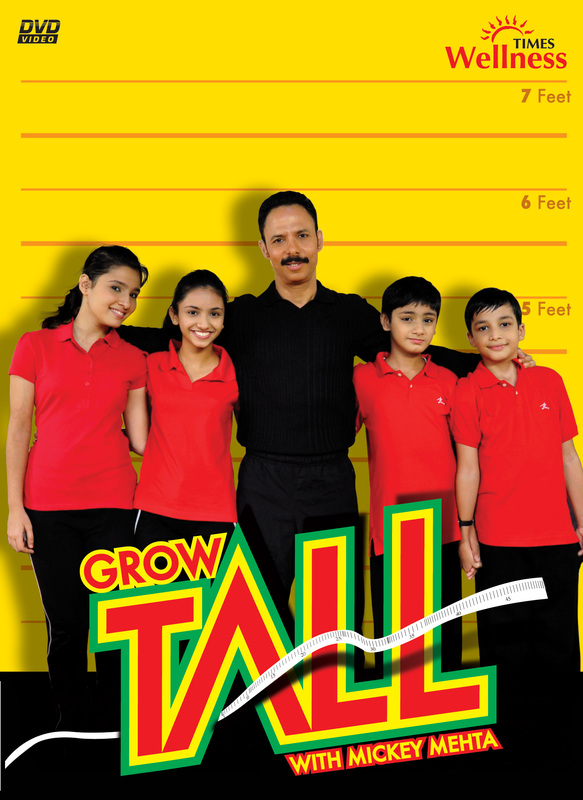 Ace fitness trainer Mickey Mehta follows up the success of his first 2 DVDs on Times Wellness with a 3rd DVD titled “Grow Tall”. With scientific inputs from a team comprising of a leading physiotherapist, spine specialist , strength & conditioning expert & an ayurvedic physician Mickey Mehta has created this program for kids between the ages of 8 – 18 years. The DVD is aimed at helping kids grow taller in height and develop the right posture and attitude in their formative years. Grow Tall shows you how to achieve this through specific exercise, nutritional advise & lifestyle changes. This DVD is available at all leading music & retail outlets.